After years of Arab boycotts of Jerusalem elections, new faction led by ex-PLO member fields candidate for mayor of Israeli capital. The 'Lech Yerushalayim' movement called for the disqualification of an Arab list for the upcoming municipal elections in Jerusalem. The new list will be called 'Our Al Quds' ["Our Jerusalem"]. It will be headed by former Fatah movement member Aziz Abu Serra, who will be its candidate for mayor. According to the Lech Yerushalayim movement, Abu Serra joined the Fatah youth movement - a faction within the Palestine Liberation Organization - after losing his brother, who died shortly after his release from an Israeli prison. 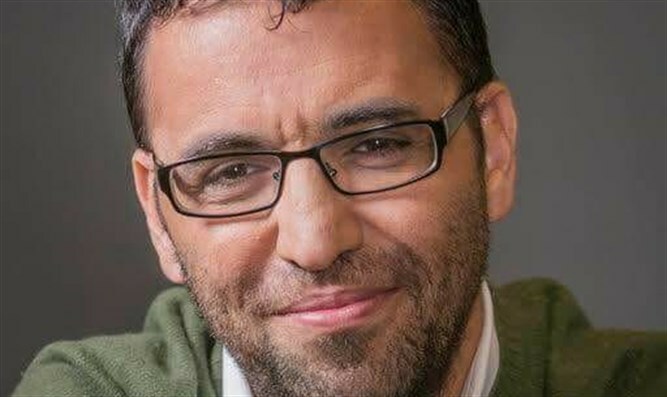 "Aziz published many articles in the movement's journal which were full of feelings of hatred and vengeance: Years later, Aziz and his family agreed to participate in a meeting of the Bereaved Families Forum, and is now a member of the forum and co-facilitator of the Kol Hashalom radio program. He also runs an organization for the empowerment of Palestinian youth," the movement noted. Lech Yerushalayim chairman Maor Tzemach said: "Israel's sovereignty over East Jerusalem cannot be disputed and discussed. Coping with the municipal system of elements in East Jerusalem must be based on the acceptance of Israeli sovereignty in all of Jerusalem! A party that opposes the State of Israel and its sovereignty in Jerusalem must immediately desist."